How do you make a makerspace? Over the last decade, there have been plenty of talks and tutorials handing out pointers. No day of the week will be good for a meeting, so the meetings are always on Tuesdays. The bike shed will be painted orange, no exceptions. Are you going to be a for-profit, or not-for-profit? 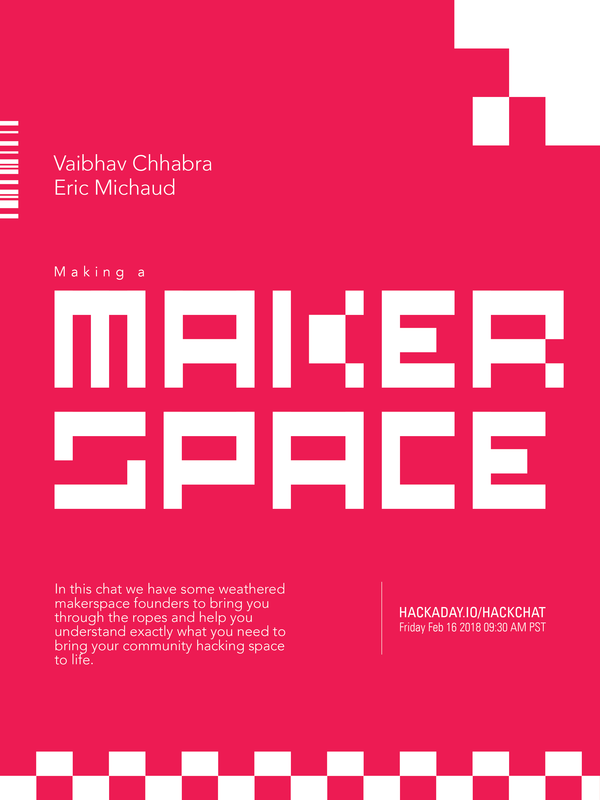 Are we a makerspace or a hackerspace? Jerry, stop being clever. Pantone 021 U. Topics for this week’s Hack Chat include what it takes to open a makerspace, how you can fund it, organizational structure concerning for-profit, not-for-profit, and the thing that the members are most concerned about: what equipment is most crucial for a successful makerspace. You are, of course, encouraged to add your own questions to the Hack Chat; to do that, just leave a comment on the Hack Chat event page. Those of you who have been involved in the running of a hackerspace or makerspace will know the never-ending struggle to maintain financial solvency, and the quest for sources of income to move your organisation forward. 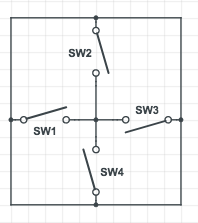 It’s certainly a topic upon which Hackaday’s crew have some experience, more than one of us has helped run a space. A good avenue to explore lies with community grants: money from organisations on a philanthropic basis to invest in community organisations. These can come from charities, governmental organisations, or even from companies as part of their corporate social responsibility. It’s this last source of grant money that claims our attention today, because we are in the final days of voting for the Aviva Community Fund, in which the British financial and insurance company makes grants for worthy causes across the country. The causes compete to gain as much support as they can, and hope to thus win their prize. Among the many worthy recipients of the cash are a selection of hackerspaces. First up are Hitchin Hackspace, whose Big Hak full-size rendition of a Milton Bradley Big Trak toy was featured in our coverage of EMF Camp 2016. They are building a new space in what we’ll call a redundant community facility because it sounds better than “Former public toilet”, and winning a grant will help them a lot in that aim. Then we have East London Makerspace. They have secured an unused garage to turn into a makerspace, as the capital’s population of our community swells to support ever more spaces in its different suburbs. Like Hitchin, the money would go to the essential work involved in creating a functioning space where previously there was nothing. Finally, we have the unexpected, a heating system from Milton Keynes Men In Sheds. If you know about Men In Sheds as a community organisation for older people, you’ll be wondering why this is listed here. What we haven’t told you is that MK Makerspace is a subgroup of the MK Shed that occupies the upstairs portion of their building, and what warms the Shedders also warms the hacker community of one of Britain’s new towns. These appear to be the only hackerspaces bidding for grant money, but votes can usefully be given to other allied causes. Linlithgow Remakery and Tool Library, for instance could use a boost, as could the other Men In Sheds groups scattered across the competition. So if you are one of Hackaday’s British readers, please take a minute to stop by the voting pages listed above, and give them a boost. You have a couple of days to get your votes in, so make them count, and make a difference! Disclosure: [Jenny List] is a member of Milton Keynes Makerspace. The CEO of TechShop, [Dan Woods], has hit the legal E-stop and declared Chapter-7 bankruptcy for the business. All ten US locations were shuttered on Wednesday with absolutely no advance warning. You can read the full statement from [Dan] here. We are deeply saddened to hear of TechShop’s closing, and while it wasn’t implausible that this might happen someday, the abrupt shuttering must come as a painful shock to many for whom TechShop was an important part of their personal and professional lives. We owe a lot to the work and effort they put forth; they led the way as a pioneering makerspace and for more than ten years, TechShop provided access to tools, taught classes, and created opportunities for the DIY world that are still as important today as they were in the mid-aughts. Jim Newton, founder of TechShop, originally wanted a space to tinker with his pet projects. 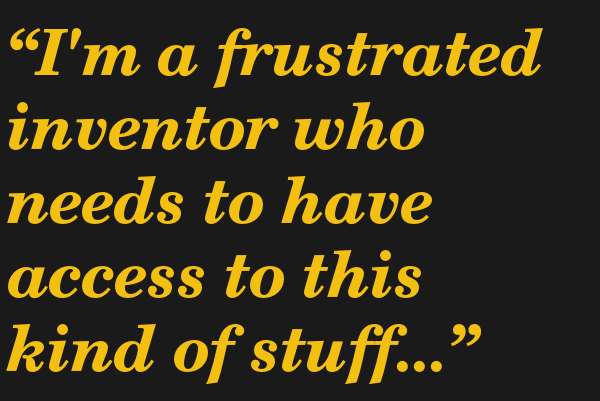 “I’m a frustrated inventor who needs to have access to this kind of stuff. And people always say that the best companies are the ones where the founders are passionate about what they are creating, which is exactly what I am,” Jim said in an interview in 2007, at the beginnings of TechShop. It turned out that there were a lot of other tinkerers who wanted to work their pet projects too. TechShop took a risk. All new business ventures are risky and most fail quite quickly, but in 2006, this whole movement, this idea that people could build things and take advantage of new technologies, personal fabrication, ad-hoc manufacturing, and rapid prototyping outside of universities and commercial R&D labs, was just a dream. Adafruit was incubating in Limor’s dorm room. Arduino was just the name of some pub in Italy. Eben Upton was wiring prototype Raspberry Pi’s by hand. Nathan Seidle was still reflowing Sparkfun’s boards with a toaster oven. Maker Faire, “The World’s Largest Show and Tell,” wouldn’t even launch until the following year. Depending on whom you talk to, music can be an integral part of getting work done. At the Hackheim hackerspace in Trondheim, Norway, [Nikolai Ovesen] thought that the previous system of playing music over Bluetooth took away from the collaborative, interactive spirit of the space. Solution: a weekend build of a Raspberry Pi-powered jukebox. The jukebox is simply laser-cut from plywood and bolted together. Inside, the touchscreen is mounted using double-sided tape, with the Raspberry Pi 3 and buck converter mounted on its rear with motherboard spacers. An IBM ThinkPad power cable was re-purposed and modified so it supplies the amp, as well as the Pi and touchscreen through the buck converter. Once everything was connected, tested, and fired up, a bit of clever software working around had to be done in order to get Golang working, along with setting up the touchscreen and amp. Hackers interact with the jukebox using the Mopidy music server and its Mopify(Spotify) plugin — but they can also request songs through a bot in the Hackheim Slack channel. A British company has filed a trademark application for the word ‘MakerSpace’. While we’ve seen companies attempt to latch on to popular Maker phrases before, Gratnells Limited, the company in question, is a manufacturer of plastic containers, carts, and other various storage solutions. These products apparently provide a space to store all the stuff you make. Something along those lines. This isn’t the first time we’ve seen someone try to glom onto the immense amount of marketing Make: has put into the term ‘makerspace’. In 2015, UnternehmerTUM MakerSpaceGmbH, an obviously German tech accelerator based in Munich, filed an application to trademark the word ‘Makerspace’. A few days later, we got word this makerspace wasn’t trying to enforce anything, they were just trying to keep the rug from being pulled out from under them. It was a defensive trademark, if something like that could ever exist (and it can’t under US trademark law). Swift and efficient German bureaucracy prevailed, and the trademark was rejected. The trademark in question here covers goods including, ‘metal hardware and building materials’, ‘trolleys, trolleys with trays’, ‘guide rails of non-metallic materials’, and ‘lids for containers’, among other storage-related items. While this is far outside the usual meaning for a ‘makerspace’ – a building or club with a whole bunch of tools – if this trademark is approved, there is always the possibility of overzealous solicitors. Fortunately, Gratnells released a statement today saying they would not defend or continue this trademark. This is in light of the recent, limited reaction to the trademark application. The word Makerspace is safe again another day. Thanks [Tom] for the tip. Do you dream of opening a hackerspace, makerspace, or co-working space? Maybe it’s in the works and you’re already scoping out locations, intoxicated by visions of all the projects that will emerge from it. Here’s a sobering thought: makerspaces are a great big pile of risk. If the doors of your ‘space are already open, perhaps you’ve come to realize that the initial insurance policy you signed doesn’t really fit the needs of your particular creative paradise. Even if it does, the protection you need will change as you acquire new toys. So why should you even get insurance? For one thing, your landlord will probably require it. If you own the building, you should insure it to protect yourself and anyone who uses the space. Do it for the same reason you’d insure a car, your house, or your collection of vintage pinball machines: to mitigate risk. It takes a lot of hard work to open a makerspace, perform the day-to-day operations, and keep it growing and getting better. Whenever the unthinkable happens, insurance will protect your investment as well as the people who make it a great place to be. In researching this article, I contacted several well-established makerspaces in the United States as well as most of the major insurance providers to get both sides of the story. My intent was not to make a how-to guide, but to simply explore the topic and provide a view of the process and the struggle.